What's better than online dating? 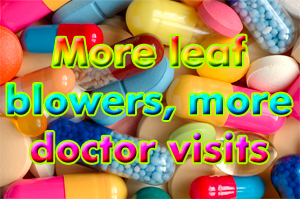 Leaf blowers cause or contribute to numerous health problems that create more need to see doctors and take medicine—and pay for it. Here's proof. In the box below, enter the last word in the above image. Patent Status | Copyright © 2006 - 2019 IdeaTeem, Inc.